Moors women in Djoudj. Moors, Berber arabized and often mixed, are first tradesmen, jewellers, stockbreeders. Since the events of 1989, their number fell considerably. 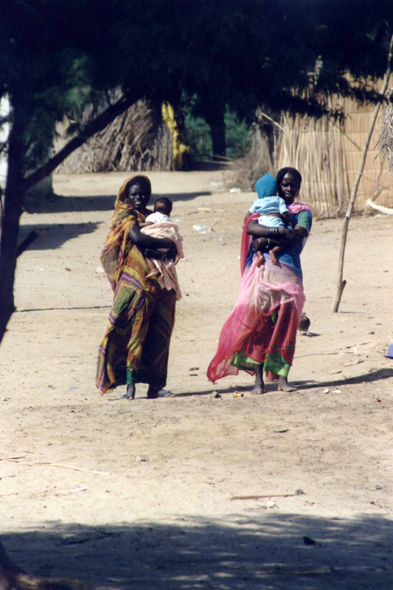 In 1989/1990, an outbreak of violence between pastor-nomads and farmers on the Senegal river awoke old ethniques quarrels between the Senegaleses and the Mauritanians.